There are two ways to create a sign, regardless of the specifics and design. The first is to use the lowest-cost, most expedient and least detailed option, which can produce a decent looking sign. These signs will last a few years, perhaps more if they are interior signs, but they will eventually begin to falter, fade and fail. The second option is to choose a sign company that spends time at each step in the design or restoration process. This isn’t the fastest option, but it creates a sign that is designed, fabricated, detailed, installed and maintained to last for a lifetime. At Dave’s Signs, we don’t make those first types of signs. Instead, our focus is to work with clients wanting a quality sign that is custom designed, fabricated and installed to meet their specifications. We believe this is paramount to providing quality signs of all types, something that we are very proud to produce and offer our customers. We use a team approach to working with clients to design the perfect sign for their business. Our expertise allows us to make suggestions about design options, materials, sign styles and the overall impression or branding message of the sign. Our experience and our professional design experts can anticipate any potential problems with a sign design or selection, and we will work with you to eliminate these issues and provide you with a sign that doesn’t just meet your needs but that surpass your expectations. Dave’s Signs isn’t about volume; it is about quality and individual customer service and support. We don’t have mass produced signs to sell. We create the signs as works of art and images your customers will remember. Our attention to customer service is at the forefront of our sign business. We work with you from concept through to installation and maintenance of the sign. Think of us as a full-service sign shop. 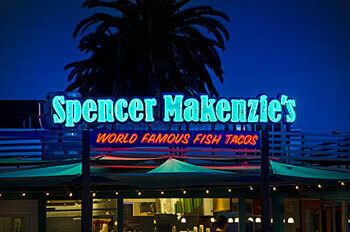 We offer exterior and interior signs in all types of designs from print to murals and from channel letter to neon signs. No two signs we design are the same. We listen to your ideas and work with your team to create the perfect sign to capture the key elements of your business while staying within your budget. Working with our team at Dave’s Signs is a collaborative experience. Our design experts and technicians will partner with you to develop the perfect sign for your business, creating a one-of-a-kind sign that captures the message you want your customers to remember. If this sounds like the type of sign company you are looking to partner with. Give us a call at (805) 641-1387 or reach out to us online. Tell us about your project.